With all the talk there is about eating organic and thinking more critically about what goes into our food, I started wondering exactly what I was "eating" every day in my lipstick and gloss. If we're concerned about what we're eating, why wouldn't we also care about the cosmetics we ingest every day? I kept hearing talk about strange sounding things like "parabens" and "phthalates" in various articles and among friends. I stopped using my favorite strengthening nail polish **it was AMAZING and worked so well- so tough to give up! ** when I did some research and discovered it had formaldehyde in it (you know- the chemical they use to embalm bodies?) Um... ew. A little more research led me to discover that formaldehyde is highly toxic and a known carcinogen- that is, it is known to cause cancer and is included among the list of "Known Human Carcinogens" by the American Cancer Society. All this got me to thinking about what other ingredients we use every day that are potentially harmful to our health. I don't want to be preachy, and I certainly am not an expert on this subject and am still learning, but for anyone who is interested there is a very helpful and easy to use website created by the Environmental Working Group that lists harmful ingredients by product. 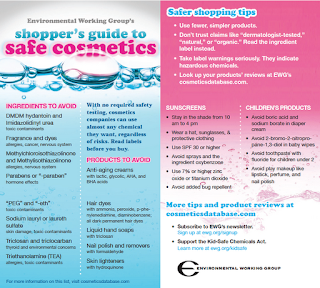 It's called the EWG Skin Deep Cosmetics Database, and you can search your favorite products and get more information about the ingredients. All the science and new terminology can be a little overwhelming, so they also provide a handy "cheat-sheet"-type guide that tells you the most important ingredients you should try to avoid. I know we glamour gals all love our products, and I'll admit I was hesitant to even do the research because I've seen the "natural" beauty selection at the health food store and it wasn't really that tempting. HOWEVER one of the nice things about the Cosmetics Database is that if you search by cosmetic type (e.g. 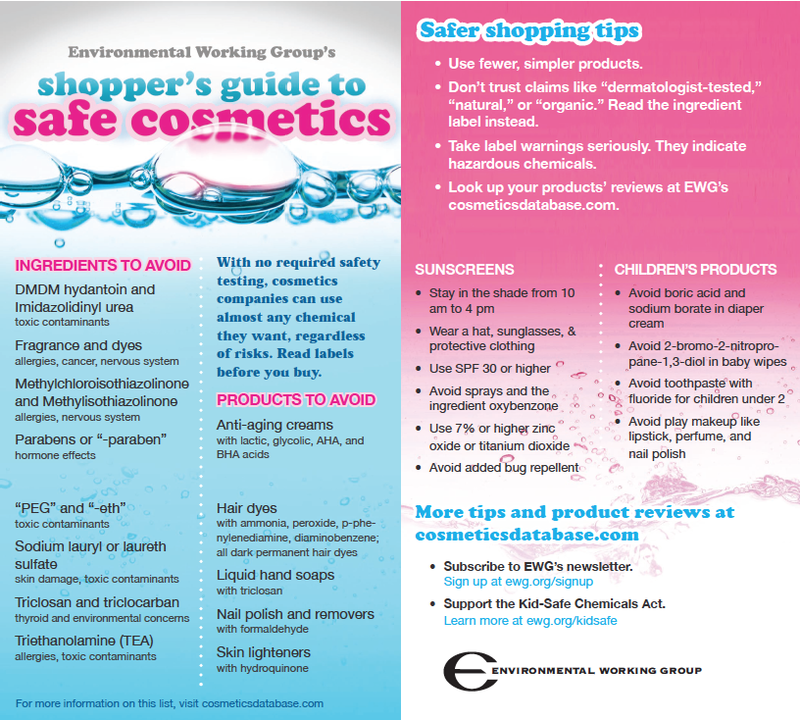 "Lipstick") you can learn about safe, low-risk cosmetics and where to buy them- hey, convenient- thanks EWG! 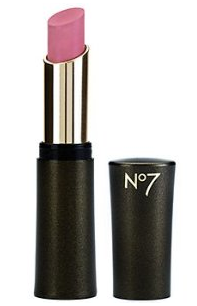 To start, I found this Boots Lipstick that has a "0" risk rating and looks like a really pretty shade I'd like to try. Like I said, I am just starting to explore all this, but I thought it was something interesting enough to share, and something every makeup lover should at least consider. I'd love to know- have you also wondered what's in your makeup?? And have you tried more natural cosmetics? If you have any suggestions please leave them in the comments! Stay safe AND beautiful, and have a great weekend everyone!! 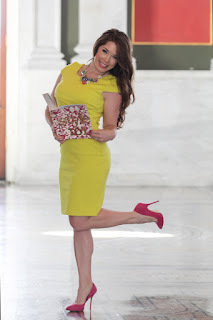 Check out my new personal styling website at www.makeoverdc.com!! Hi everyone! I know I have been MIA lately ~ so sorry about that! I have been working on some very exciting new projects, starting with my new personal styling company MakeoverDC! Check out the new website including lots of fun photos from our first photo shoot here.